G&D DVICenter Display Port Computer module links external DP, USB & PS/2 Keyboard & Mouse, Audio interfaces to the DVICenter system. G&D Display Port Computer module links external DP-SL, USB & PS/2 Keyboard & Mouse, Audio interfaces to the GnD Matrix system..
DP-CPU is a standard module for the integration of DisplayPort™ into the matrix. 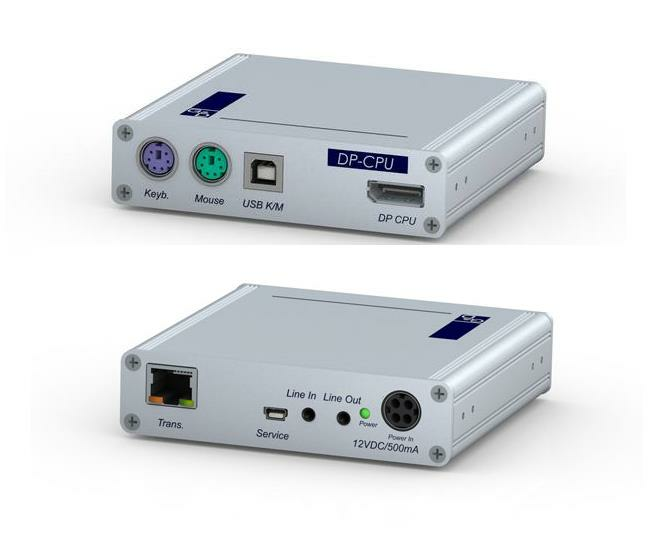 The DP-CPU combines keyboard, video, mouse, and audio signals, converts DisplayPort™ into single-link DVI and uses CAT cables to link them to the KVM matrix system. Integrating the user module DVI-CON the signals are provided at the remote workstation.